Home In Laramie is here to help you find what YOU are looking for in a home! Whether you are ready to buy, wanting to rent, looking for your own home or for a place for your student, we are here For You! No matter what you're looking for in a property: residential, commercial, or investment, we can help! Browse our selection of homes for sale and for rent from the title bar at the top of the page or by clicking the links above. Contact us today and let us start working, For You! Home In Laramie also provides professional and reliable property management services to ensure your investments are well cared for for years to come. Visit our Property Management link for more information. 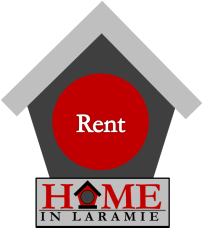 Looking for a rental in Laramie WY? Home in Laramie has rental properties. Apartments for rent, houses for rent, pet friendly rentals in Laramie, rentals near the University of Wyoming! Home In Laramie is the only real estate company in Laramie offering rebates for buyers, that’s right, we are a rebate broker! We pay buyers for buying their new Home In Laramie. Homes for sale, homes for rent, whatever you are looking for in a Home In Laramie, we can be your one stop new house shop! Do you need a Real Estate Agent in Laramie? A Real Estate Agent to list your home for sale, market your home for sale, advertise your home for sale? Home In Laramie is a full service Real Estate Company in Laramie Wyoming. Our Real Estate Agents are friendly, professional, and innovative. All of the Real Estate Agents at Home In Laramie are professionally licensed Realtors, members of the Laramie Board of Realtors, Members of the Wyoming Association of Realtors, as well as the National Association of Realtors. If you want to sell your house in Laramie, if you are looking to buy a Home In Laramie, or if you are planning find a rental in Laramie, contact Home In Laramie at 307-742-4466.